"These shots are about creating an intimacy with the actors within an epic landscape." 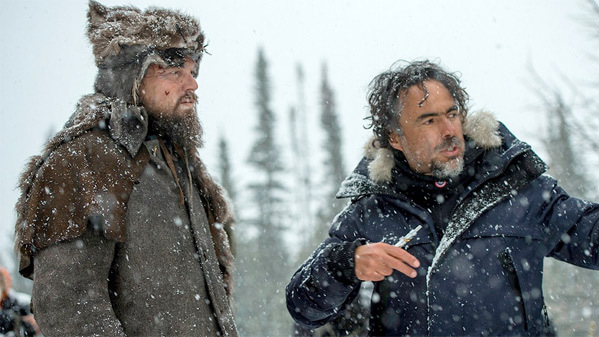 20th Century Fox has debuted this new making of featurette for Alejandro González Iñárritu's The Revenant, which explores the grueling processing of filming this story. The shot for almost a year in the freezing cold in Canada, using only natural light, and submitting themselves to the raw elements of nature. The end result is a spectacular cinematic experience - every shot is stunning, and it's powerful to watch so raw, real beauty. This is a brutal tale of survival, starring Leonardo DiCaprio, Tom Hardy, Will Poulter, Domhnall Gleeson, and it's riveting to watch. This video shows a lot of footage and examines the themes that Iñárritu is touching upon. Thanks for the heads-up. I am passing on this featurette. Yea they REALLY showed too much in this. :/ Tried to mention in the post.